“Texas Tales and Tall Ships”, Vol 1 & Vol 2. Malcom Lee Johnson has spent nearly a lifetime exploring, researching, and studying history. He has spent countless hours of digging through old Texas artifacts, museums/libraries, letters, photos, discussions with ol’ timers, and more … Vol 1 & Vol 2 are packed full of Texas history, including Republic of Texas battles! Many of the Texas facts inside this book may surprise you! Purchase AUTOGRAPHED books here! The books sold online in bookstores are not autographed. This entry was posted in Uncategorized and tagged a texas history book that every library and museum should have, early texas capital, early texas settlements, fighting for texas independance, malcom lee johnson, republic of texas book, republic of texas navy, tate publishing book on texas history, texas history book author, texas ships in the gulf of mexico, texas tales and tall ships vol 1, the battle of the alamo facts, the texas mexican war on February 13, 2015 by malcomj. Available directly from Malcom Lee Johnson’s Personal Collection!!! This is an ORIGINAL 1836 ISSUE, REPUBLIC OF TEXAS NAVY BUTTON, with a POSSIBLE mfg. error. This button has NO dings, dents, or visable scratches, and it retains 100% of its original 24K Gold Gilt finish – like new condition! This is NOT a “found” or “dug” button. It looks like its been kept in collections – since its still in like new condition. The diameter is 23mm. dia., ACCORDING TO MY INEXPENSIVE CALIPER. (which is only typed, no photo displayed), “. J.M.L. & W.H. SCOVILL. / WATERBURY / EXTRA SUPERFINE .” They also state the button is 21.5 mm dia. 2> In addition, the book “UNIFORM BUTTONS OF THE REPUBLIC OF TEXAS”, by Bob Shelton & Al Luckenbach, also has a photo of the backstamp of a Texas button that reads: “* J.M.L. & W.H. SCOVILL * WATERBURY *” (In the outer circle), and “EXTRA SUPERFINE *’ * “(In the inner circle). (They don’t indicate for certain “which” button it is from ) pp. 58. 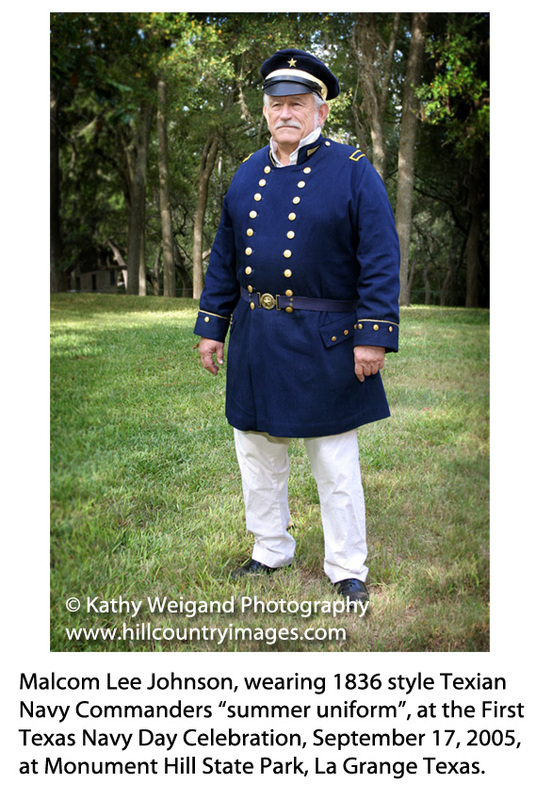 Also, they have a photo of the front of a 1836 Texas Navy button, with the TYPED CAPTION : ” J.M.L. & W.H. SCOVILL, WATERBURY / EXTRA SUPERFINE. 21.5MM (FIG. 9) on pp.. 42. But, PLEASE NOTE: In 1836 Scovill ALSO PRODUCED the first issue “1836 STAFF OFFICER BUTTON ” with a backstamp that reads: (Typed) ” J.M.L. & W.H. SCOVILL, WATERBURY / EXTRA SUPERFINE “, 23MM, (FIG. 1) on pp. 24. And, on pp. 25 they state : “Albert’s only candidate for this button is TX5. This button with a rim, is 23mm with a backmark “J.M.L. & W.H. SCOVILL * / WATERBURY / EXTRA SUPERFINE ” (Typed) in coat size. ** 1836 WAS THE “ONLY” YEAR THAT THESE PARTICULAR TWO ARMY AND NAVY BUTTONS WERE PRODUCED. While I am CERTAINLY NO EXPERT, it seems to me that SCOVILL “may have accidently” produced a Tx. Navy button, with a 23mm ARMY BUTTON BACK on it. If I am correct, that makes it “ONE OF A KIND – AND EXTREMLY COLLECTABLE”, by anyone’s standards!!! Please review the photos and do your own research too! THESE PHOTOS ARE OF THE ACTUAL BUTTON FOR SALE! This entry was posted in texian items and tagged 1836 texas, original 1836 republic of texas button, original republic of texas, original republic of texas navy button, republic of texas, republic of texas army button, republic of texas coat dress uniform button, republic of texas collectables, republic of texas collictables, republic of texas memoriabilia, republic of texas military relics, republic of texas navy button, republic of texas treasures, Texas military uniforms on March 8, 2014 by malcomj. Texian Navy Day, has long been recognized in an ad hoc manner by Texas governors and the Texas legislature. In 1836, the Texian navy helped secure the independence of the REPUBLIC of TEXAS. In 2005, the legislature enacted a law officially establishing the “third Saturday of each September” as “Texian Navy Day”, which “shall be observed with appropriate ceremonies and activities”. 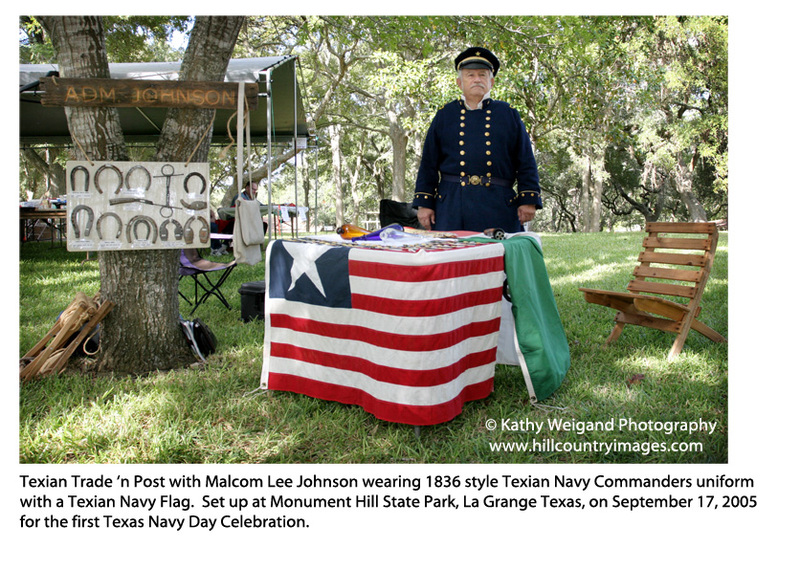 The first “Texian Navy Day” celebration was held at Monument Hill State Park, on September 17, 2005, at La Grange, Texas. And we are proud to have been able to take part in this celebration, and display our Texian Navy Flag. Please help recognize this date in history and preserve the memory of the seaborne valor of those who helped create the Lone Star State by flying your Texas flag on this day. Our hard to find, and sometimes exclusive items include Early Texian Period (1700’s +), Republic of Texas, Navy, Army, Mexican. Items for Rendezvous, Re-enactments, Pow – Wows, Historically Correct Items, Historical & Texas Information, Dates, Western Gear, Mountain Man, Early Trade Items, Frontiersmen Home Decor, Pioneer Items, glass beads, glass powder horns, Uniform and Blazer Buttons, Clothing, apparel, Texas Star and Wreath, Military Accouterments. This entry was posted in Uncategorized and tagged apparel, blazer, clothing, coat, cufflinks, decor, glass beads, glass powder horns, gold, gulf of mexico, jewelry, la grange, lone star, mexican, military, movie costumes, movie sets, pioneer, re-enacters, re-enactments, rendezvous, republic, republic of texas navy, ships, silver, texas, texas gulf, texas logo, texas navy, texas ships, texas star, texas star and wreath, texas war ships, texian, texian navy day, tx, uniform, vests, western buttons on April 1, 2013 by malcomj.